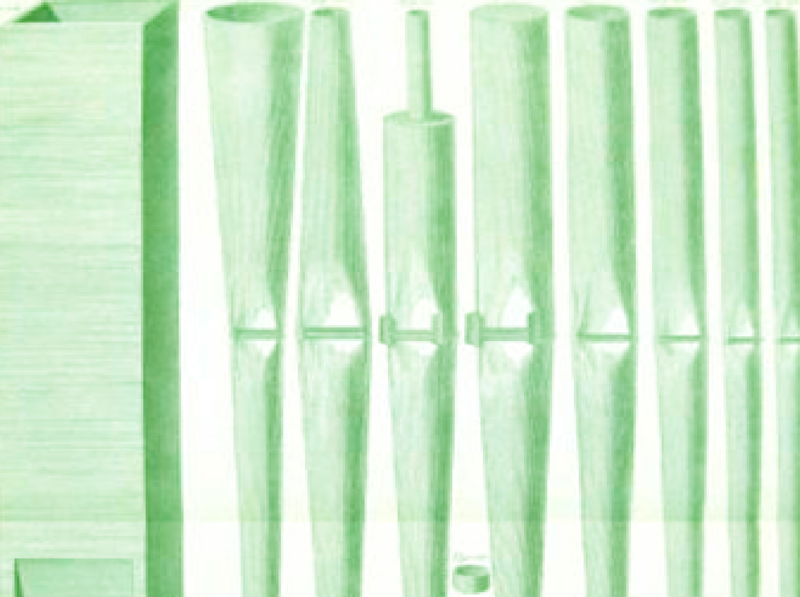 Tools used by organ-builders two centuries or more ago look surprisingly familiar to modern eyes. The major difference is that man-power has been replaced by watt-power. 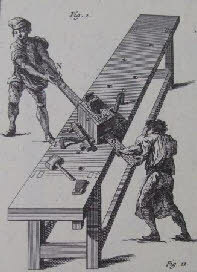 For example, a planer-thicknesser used in the preparation of boards for large wooden pipes and case-work is illustrated by Dom Bedos in the 1770s (Figure 1) and required two people for its operation. The exact equivalent powered by electricity is routinely used in modern organ-building workshops (Figure 2). Similarly, an eighteenth-century bandsaw operated by foot (Figure 3) is equally common in its electric version (Figure 4). 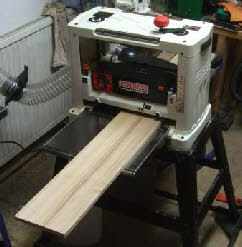 There are many other examples such as lathes, pillar drills and the like. 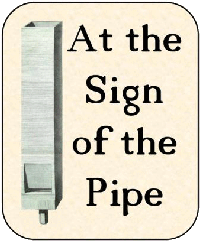 A small workshop like At the Sign of the Pipe can therefore more-or-less reproduce the finishes associated with traditional working methods without having to have the manpower, which is now a much more expensive part of the cost of constructing organs than it was two centuries ago.